Pleas from Gov. Jay Inslee failed to end the strike that's lasted almost a week. Taking legal action against the teachers union is "certainly an option that’s under consideration," said Dan Voelpel, a spokesman for Tacoma Public Schools. Tacoma Public Schools, the fourth-biggest district in the state, said Wednesday it’s considering taking its teachers union to court to end a strike that has kept thousands of children out of classes for almost a week. 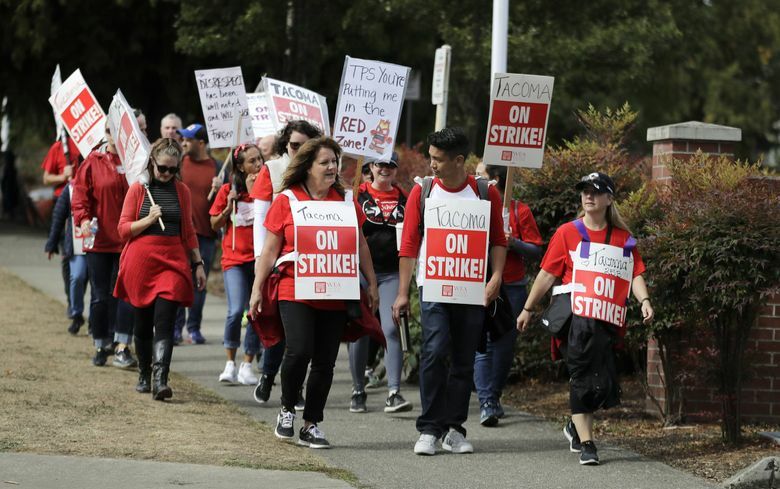 It’s the latest escalation in negotiations that have been deadlocked with the union, the Tacoma Education Association (TEA), over its demand for an increase in salaries. Earlier on Wednesday, a Thurston County Superior Court judge granted a preliminary injunction in favor of the Tumwater School District against its striking teachers, but didn’t penalize the union or set a deadline for the holdout to end. The teachers voted to continue their strike after the court’s decision, news website MyNorthwest.com reported. 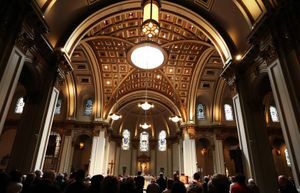 The announcement comes a day after Gov. Jay Inslee’s office said he called both parties to urge an end to the dispute, though there was no indication of progress in the talks as a result. The strike in Tacoma is the biggest remaining in Washington after a summer of heated negotiations across most of the state’s 295 districts, where teachers’ unions demanded more money following the infusion of about $1 billion by lawmakers into K-12 education to satisfy the state Supreme Court’s so-called McCleary decision. Tacoma Public Schools said Wednesday it had offered teachers a 12.5-percent increase in the overall pay schedule for the current school year. That would widen its deficit for the following year and raise the possibility of staff and program cuts, Voelpel said. Responding to the offer in a statement on Facebook, TEA said its calculation of the district’s offer only results in a raise of 7 percent and wouldn’t make it competitive with neighboring districts. 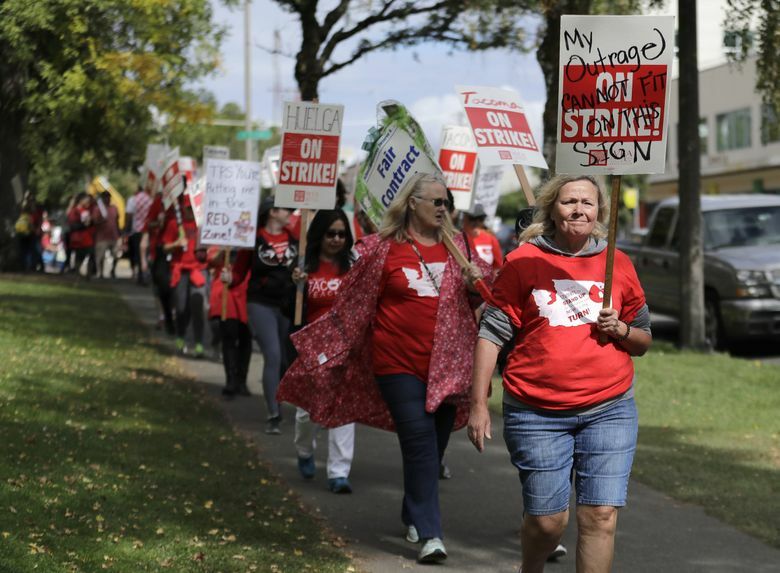 Strikes by public employees, including teachers, are illegal in Washington. But there is no statute “imposing penalties on employees of state or local government for engaging in a strike,” according to a 2006 letter to lawmakers from former state Attorney General Robert McKenna. The law is clear, but public sentiment surrounding striking teachers is a “balancing act,” said Liv Finne, director of the education division at the Washington Policy Center, a libertarian think tank often critical of teachers unions. Judges have the power to hold those who don’t follow their orders in contempt. In the case of teacher strikes, union executives could be fined up to $1000 a day or face jail time until their strikes end, she said in an email. 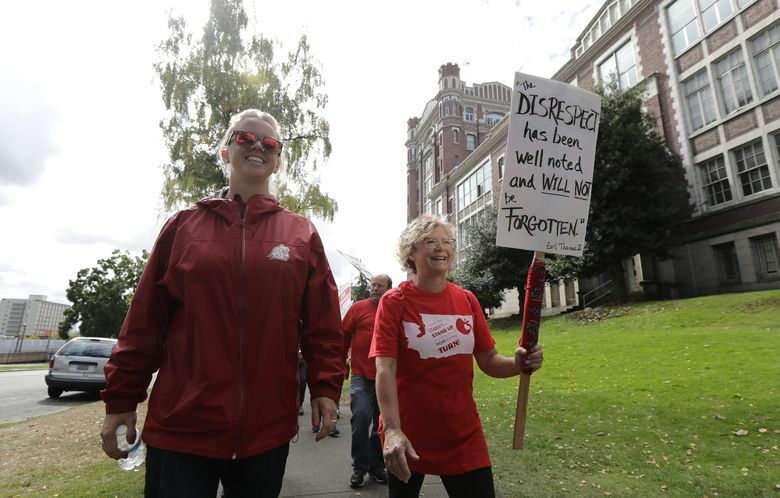 Late Wednesday, after walking the picket lines since 6 a.m., Lincoln High School math teacher Sara Ketelsen said she has felt much more support from the wider Tacoma community compared to the last time teachers there went on strike in 2011. The dispute then centered on class sizes and rules over teacher seniority. 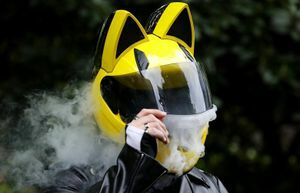 She also noted, because of the recent infusion of cash from the Legislature, this summer’s contract talks in Tacoma have only involved raises. Next year, however, the entire contract for teachers will expire, with everything from class sizes to school counselor caseloads opening up for negotiation.